The Diploma in Automobile engineering through distance education enables people working in jobs to pursue a technical qualification to change their fields or work in the area of their interest. Students from this field can get jobs in the industry in large car showrooms, garages and car repair shops. With the number of cars increasing by the day, future prospects for candidates with a qualification from this field have a bright future ahead. Students pursuing this course will be required to work with automobiles day in and day out. With a diploma qualification under their belt, they can get entry level technician jobs in the automobile industry. This course equips students with the necessary skills to work with automobiles. NIMT - -Neptune Institute of Management and Technology offer Diploma Program in Automobile Engineering through Distance Education mode. 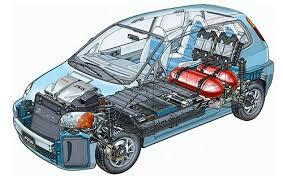 Course Fee of Automobile Engineering from NIMT is Rs. 8566/year.